We are still in the middle of commemorations of the events surrounding World War I and other landmarks in history that make this a decade of commemorations. Before we move onto events in 2016 marking the centenary of a related set of events, including the Easter Rising and the Battle of the Somme in 1916, and before 2015 comes to an end, it is worth recalling a descendant of the Comerford family who has been described as “Irish rugby’s first superstar” and who died at the Battle of Ypres in 1915. Basil’s mother, Mary Comerford Casey Maclear, was born in 1845 in Liverpool, the daughter of a Merseyside soap magnate and the descendant of the Comerford family of Co Wexford and Cork. Her grandmother, Jane Comerford, daughter of Peter Comerford, a wine merchant in Cork in the late 18th century, married her cousin Edwards Casey of Cahirgal and Elmgrove, Cork, in 1792, and the Comerford name was continued through their descendants for many generations. Edwards Casey, who died in 1827, and his wife Jane Comerford had six sons and three daughters. One of their sons, William Comerford Casey, was a freeman of Cork, and voted in the 1827 election. Soon after, he later moved to Wavertree, Liverpool, and was a soap manufacturer in Liverpool, where he was partner with his brother George Casey in the firm of WC and G Casey. William Comerford Casey married Susannah (born 1815), daughter of John Hawkins (1791-1877), solicitor, of Hitchin, Hertfordshire, and his wife Susannah Theed Pearse (1791-1847). Her brother, Sir Henry Hawkins (1817-1907) was a barrister and judge, and became Lord Bampton. Susannah and William Comerford Casey were the parents of four sons and four daughters. William Comerford Casey died in 1852. His daughter, Mary Comerford Casey, was born in Liverpool in 1845, and baptised in Holy Trinity Church, Wavertree, 25 April 1845. In June 1870, she married her cousin, Major Henry ‘Harry’ Wallich Maclear (1845-1911), an officer in the 3rd Buffs who practised as a doctor in Bedford. Harry Maclear was born in Cape Town on 31 October 1845. His father, Sir Thomas Maclear, was the Astronomer Royal in Cape Town. Sir Thomas was born in Newtownstewart, Co Tyrone, and studied medicine at the Royal College of Surgeons in London. But he spent much of his life working as an astronomer and in 1860 he was knighted for his scientific excellence. He was a close friend of David Livingstone, and they shared a common interest in the exploration of Africa. The crater Maclear on the Moon is named after him, as are Maclear’s Beacon on Table Mountain, the town of Maclear, South Africa and Cape Maclear in Malawi. Dr Maclear’s brother, John Fiot Lee Pearse Maclear (1838-1907), was an Admiral in the Royal Navy, known for his work in hydrography and as the commander of HMS Challenger. He has given his name to Maclear Island and Mount Maclear in Queensland. 1, (Lieutenant-Colonel) Harry Maclear, DSO (1872-1916). An officer in the East Lancashire Regiment, he was killed on 15 March 1916 while commanding the 13th Royal Scots at the Pas de Calais, France, and is buried at Mazingarbe Communal Cemetery. 2, Arthur Maclear (1873-1945), a miniature painter. 1a, Eileen Mary Maclear (1910-1989); she was born in Bolton, Lancashire, and died in North Tawton, Devon. 4, (Lieutenant-Colonel) Ronald Maclear, OBE, MC (1877-1932), Registrar of Bodmin. He too was noted Rugby player – he played rugby for Bedford and the East Midlands, played 48 county matches and played for England v The Rest of England. In 1907, he married Emma Grizel Stronach, daughter of John Stronach of Ceylon and Bedford; she died in Bognor Regis in 1940. 5, (Captain) Basil Maclear (1881-1915). When their fifth and youngest son, Captain Basil Maclear, died on a battlefield in World War I, he was an Irish rugby star and acknowledged by many as one of the early greats of the game. Basil Maclear was born in Portsmouth on 7 April 1881. He was educated at the Priory School, Bedford, and Bedford Grammar School (1893-1899). During his schooldays, he lived with his mother in the ‘Crescent’ district of Bedford. At 15, he played club rugby for Blackheath. He was in the School 1st XV in 1895-1896, 1896-1897, 1897-1898 (Captain) and 1898 (Captain). In the Easter Term 1899 he was still captain, but was prevented from playing because of an operation. His obituary in the 1915 edition of Wisden recalled that in 1897 and 1898 he was in the Bedford Grammar School XI. In 1898, the side did not lose a school match, and he took the most wickets – 35 – at a cost of 13.91 runs each. Besides being a good bowler, he was also an excellent batsman, and made 133 against the MCC. An all-round athlete, he also ran the 100 yards at the Bedfordshire County Sports in 10 seconds. He was nicknamed ‘Shiner’ at school and was the Deputy Head of the School. He was gazetted as 2nd Lieutenant to the Royal Dublin Fusiliers in 1895, promoted Captain in 1900 and Brevet Major in 1901. He served with his regiment in the Boer War (1899-1902), taking part in the operations in the Orange River Colony from December 1900 to February 1901, and in the Transvaal from February 1901 to January 1902. 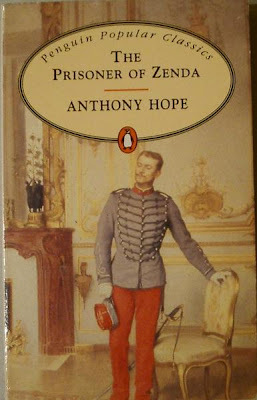 He was mentioned in despatches and was awarded the Queen’s Medal with five clasps. He saw further active service at Aden in 1903. He was appointed second in command and Adjutant of the Lagos Battalion WAFF (1903), and to the full command 1905. Meanwhile, in 1904, he was posted to Fermoy, Co Cork. In Cork, he continued to play cricket, and made 143 for the Royal Dublin Fusiliers against Cork, and 98 against Cork County. He also played rugby for Monkstown and Cork County. While playing for Cork County, he was selected to play for Ireland against England in 1905. He was qualified to play for Ireland both by birth and by residence. He was selected in the back-line, despite having made a name for himself as a forward. Playing in front of a crowd of 12,000 at the Mardyke on 11 February 1905, Maclear scored one try, created two more and kicked over a conversion too. It was a memorable first cap, and Ireland won the game 17-3. Maclear’s first Home Nations’ Championship proved a successful one, with Ireland finishing runners-up to Wales. Maclear played a record four matches against the All Blacks, playing for Blakheath, Bedford, Munster and Ireland. A few days later, on 28 November 1905, when New Zealand took on Munster at the Markets Field in Limerick, Maclear lined out again as the captain of Munster. It is said he crushed George Smith so hard with a tackle that the winger missed the remainder of the tour. The match was played before a crowd of 3,000, and Munster was defeated 33-0. 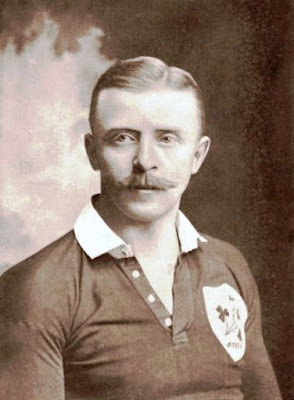 In 1906, Maclear helped Ireland to the Home Nations title, scoring tries against England and Wales. 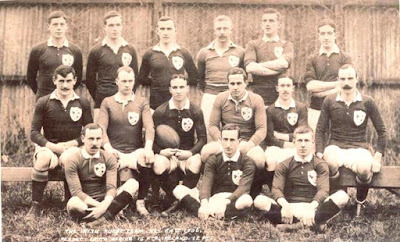 The Irish side that beat South Africa in 1906. Basil Maclear is standing, third from the right. “There is no other player in Great Britain who could have scored such a try”, the Daily Mail claimed. “It was an epoch-making event, and it is safe to say that the run will live forever in the annals of the game.” However, the Irish side still lost by three points. In 1907, he played against England at Lansdowne Road, Scotland in Inverleith, and Wales at Cardiff. The match against Wales on 9 March 1907 was his last Test. In all, he won 11 caps for Ireland. Unfortunately, persistent knee trouble diverted his energies from Rugby to Hockey, in which he also excelled. In 1912, Basil returned to Sandhurst as Inspector of Physical Training. At the beginning of World War I, he asked to rejoin his regiment, but in a confidential report General Capper wrote: “This officer is too valuable to be spared for active service.” But Maclear’s request was later accepted, he left Sandhurst at the end of February 1915 and took a large draft of men to the Front around 24 March. When the Second Battle of Ypres began, the Dublins were rushed to the front line where Basil took part in all the heavy fighting. For much of the time he was second-in-command of the regiment, and for four days he was in full command. Every day, in brief intervals snatched from the fighting, he wrote to his mother. His last letter to her was dated 23 May 23, the day before he was killed. On 13 April 1915, before advancing towards Ypres, some soldiers gathered to play a rugby match in the tiny northern French village of Nieppe. One team was made up almost entirely of Gloucester players while the opposition, who arrived straight from the trenches, featured a handful of Irish internationals, including the Ireland fullback William (WP) Hinton, later served president of the IRFU, and the Ireland captain William (WJ) Tyrell, who was selected on the first Lions tour in 1910. They played only 25 minutes each way as the 4th Division players had come from active duty in the trenches. By then, Maclear was in his mid-30s and refereed the game. The Irish side lost 14-0. 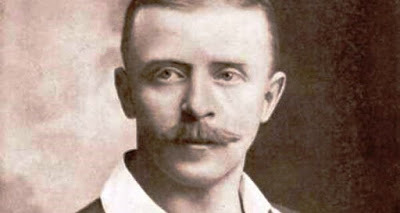 Other players included Ronald William Poulton-Palmer, the England skipper who had already won 17 caps for England, HJS Morton (Cambridge and England) and JG Keppell (Ireland trials). Just a few weeks later, Poulton-Palmer, who was still just 25, was killed by a sniper. Maclear did not survive much longer. Early on 24 May 1915, the 2nd Battalion of the Royal Dublin Fusiliers were bunkered down in Mouse Trap Farm, a Flemish chalet about 2½ miles from the Menin Gate in Ypres, in Belgium’s west corner. At about 3 a.m., red lights speckled in the skies overhead. The Germans had started firing. The Commanding Officer, Lieutenant-Colonel Arthur Loveband, yelled out: “Get your respirators, boys. Here comes the gas.” The rules of war had changed that spring, and chemical attacks from the German side had become commonplace. Soon, the trenches filled with talk of the “thick, yellow-greenish vapour,” the silent killer that inflicted a slow, harrowing death. It engulfed the insides and cut the supply to the throat. It took 45 minutes for the gas to drift over the Irish trenches. Desperate attempts to evade the poison were in vain. Many died instantly, others were picked off by the advancing Germans, but hours later some of the Fusiliers still remained. They were outnumbered, and the situation was perilous. Captain Basil Maclear sent a message telling battalion headquarters reinforcements were needed. With the few soldiers left at with him, he tried to launch a grenade attack on the Fusilier trenches that had been taken by the Germans. As the assault began, he led the advance towards the enemy. Maclear must have known that death was imminent. Perhaps, for a moment, he thought of his older brother, Percy. The previous August, while based in Nigeria, he had been killed under heavy German machine gun fire. Another brother, Harry, would die later at Pas de Calais in northern France in March 1916. Basil’s last message to his battalion headquarters was desperate: “Very many of our men are surrounded. We must have reinforcements.” None showed up. Captain Basil Maclear was shot in the throat. His body was never recovered. He was 34. Later, what remained of the battalion regrouped on the west bank of the Yser canal. That morning, 668 men had woken up. By nightfall, 647 were killed, wounded or missing. Basil Maclear’s name, along with 54,000 others whose bodies were never recovered, is engraved on the Menin Gate at Ypres. On the Maclear side of the family, Basil’s cousins included Canon George Frederick Maclear (1833-1902). He was the select preacher, Cambridge (1868, 1880, 1886), and Oxford (1881-1882); Ramsden preacher, Cambridge (1890), Headmaster, King’s College School, London (1867-1880), Warden of Saint Augustine’s Missionary College, Canterbury (1880-1902), and a canon of Canterbury Cathedral. Basil Maclear’s mother, Mary Comerford Casey Maclear, was a first cousin of the Revd Edwards Comerford Hawkins (1827-1906), Vicar of Saint Bride’s, Fleet Street, makin Basil was a second cousin of Sir Anthony Hope Hawkins (1863-1933), author (as Anthony Hope) of The Prisoner of Zenda. Three months ago, he was one of the 25 legends inducted into the World Rugby Hall of Fame [No 96] at Wembley Stadium, London, on 20 September 2015. He also features in the first chapter of Stephen Walker’s recent book, Ireland’s Call – Irish Sporting Heroes who Fell in the Great War (Dublin: Merrion Press, 2015). The Ousel, 8 June 1915, December 1906, 20 December 1906, 25 February 1907, 8 June 1915, 20 July 1932. The Daily Mail, 26 November 1906. Bedfordshire Standard, 4 June 1915. EA Rolfe in the Old Bedfordians Year Book, 1929. Old Bedfordians Year Book, 1930. EHD Sewell, Rugger: the Man’s Game (1944). OL Owen, Rugby correspondent of The Times and editor of Rugby Football Annual, writing ’), writing in the programme of the England v Ireland match, Twickenham, 13 February 1954. Eoin O’Callaghan, ‘Meet Irish rugby’s first superstar,’ Irish Examiner, 26 February 2015. Stephen Walker, Ireland’s Call – Irish Sporting Heroes who Fell in the Great War (Dublin: Merrion Press, 2015).